The crime in Baščaršija happened on March 1, 1992 in the midst of the Serbian wedding at Orthodox Church in Baščaršija, Sarajevo, when the prewar criminal and member of the muslim paramilitary unit “Green Berets”, Ramiz Delalić aka Celo, shot to death the groom’s father, Nikola Gardović, and wounded a priest of Serbian Orthodox Church, Radenko Miković. This was one of the trigger events for breakout of war in Bosnia and Herzegovina. Muslim authorities refused to prosecute Ramiz Delalić and his assistants, leading to breakdown of police in Sarajevo. Almost all American media falsely reported that it was Serbs who had shot on muslims on their wedding celebration. This crime was depicted as “Bloody Wedding” in modern Serbian music. Bosnia and Herzegovina was the central Republic of Yugoslavia where Muslims, Serbs and Croats lived along with national minorities. On November 18, 1990 the first multiparty elections were held after WW2. The government was formed by the anticommunist coalition parties: SDA, SDS and HDZ. Member of Parliament who received the majority of votes was Fikret Abdic (47.4%), a successful businessman from Velika Kladusa (Northwest Bosnia). But he was overpowered by muslim extremists because he didn't want war, nor conflict with Serbs. In fact, he was just a bait for muslim voters on the elections. 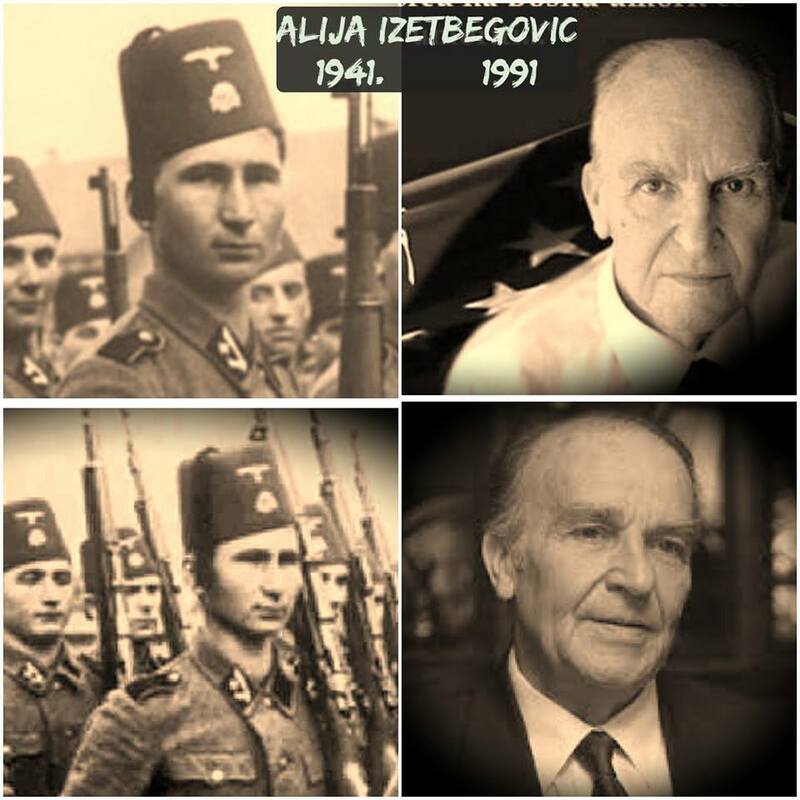 Thus, president of the BiH Presidency became Alija Izetbegovic, the pre-war prisoner and author of the notorious chauvinist "Islamic Declaration". President of the Parlament of BiH became Momcilo Krajisnik from SDS party, and Prime Minister of Federal Republic of BiH became Jure Prelivan (Croat). This coalition had endured for 15 month. It collapsed at beginning of the war in BiH, in April 1992.
of ​​an independent Bosnia and Herzegovina was further spread by the media. As early as October 1991 newspapers in Sarajevo published open threats to Serbian people. 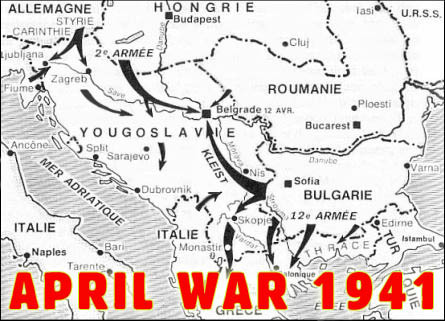 Inter alia, there was announcement of renewal of the so-called Handchar division, Ustasha unit from period of 1941-1945, which committed horrible crimes against Serbs in the Independent State of Croatia. This division had been mostly filled with Muslims. It is worth mentioning that Ustasha atrocities in Bosnia and Herzegovina had reached its peak in places such as Prebilovci, Drakulic, Bileca, Gacko, Donja Gradina, Kupres. 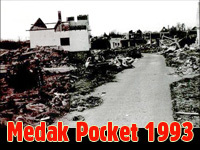 August 1991 witnessed organized arming of paramilitary forces of Muslims and Croats in Bosnia and Herzegovina which was conducted through channels of the political parties SDA and HDZ, with the aim of attack on the Yugoslav People's Army (JNA). In October 1991 establishment of local committees of paramilitary units "Green Berets" and "Patriotic League B&H" occured. In the second half of 1991 Mostar was full of members of the JNA, who came from Croatia (Dalmatia and Dubrovnik area), from where they were expelled or withdrawn. They were withdrawn at the end of March 1992 in Uzice (Serbia). On March 1, 1992 a referendum on the separation of Bosnia and Herzegovina from Yugoslavia was organized with 62.4% of voters having voted for independence. A day later in Sarajevo, members of the "Green Berets", led by a criminal Ramiz Delalić aka Celo, started shoting at a Serbian wedding party at Bascarsija having killed the groom's father Nikola Gardovic and wounded priest Radenko Mikovic. This was an event that announced the bloody war in Bosnia-Herzegovina in the 1990s, but this also served as cause to dissolve still mixed police in Sarajevo. After that, numerous attacks on Serbian positions in Bosnia and Herzegovina and on members of the JNA occured (Sijekovac, Kupres, Sarajevo, Tuzla...). International representatives remained silent to these events. The marriage between Milan Gardović and Dijana Tambur was made at 2.30 PM on March 1, 1992 at the church devoted to the Lord’s Transfiguration (placed at old station) in Pofalići, Novo Sarajevo. The marriage was officiated by the priest, Voja Čarkić. After the wedding, people proceeded to the Home of Saint Thecla in the churchyard of Stara Crkva (“Old Church”) in Baščaršija where the wedding banquet was organized. The centre of Sarajevo has one-way traffic for automobiles which is paralleled with tram traffic, so the wedding party members have passed the way from Pofalići to Stara Crkva via Vojvode Putnika street and Vojvode Stepe coast to reach the City Hall where the nearest parking lot was placed, only 100m from Stara Crkva. There were around one hundred people among the wedding party guests. After they parked their automobiles near the City Hall, the wedding guests went by foot to Stara Crkva. While the wedding group was entering the churchyard, white “Golf” automobile stopped near them, with the four criminals, among who was Ramiz Delalić aka Celo, in it. They got out of the car and attacked the groom’s father, Nikola Gardović, who had a role of the Bridal Couple’s Elder (Stari Svat) and the Standard- bearer of the Serbian Flag. 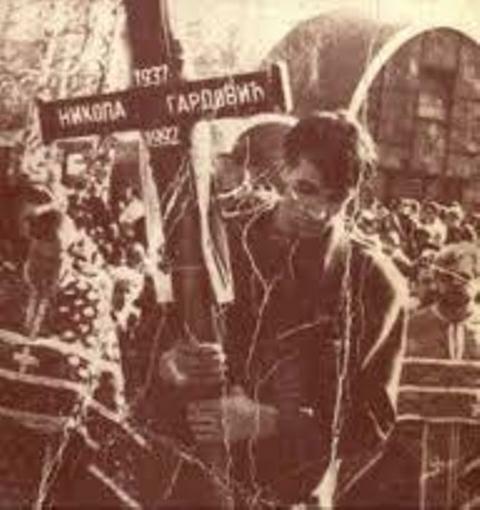 Nikola Gardović was holding the Flag of the Serbian Orthodox Church (red-blue-white flag with the golden cross in the middle) and, consequently, he was attacked by Ramiz Delalić who wanted to take the flag from him, leading to the stirring in the crowd. Subsequently, Ramiz Delalović open the fire with gun, shooting Nikola Gardović, while his accomplice wounded a priest of the Serbian Orthodox Church, Radenko Mirović (the groom’s brother-in law). 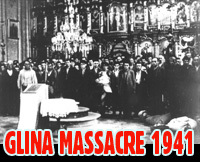 After gunfire, the criminals escaped taking the Serbian Orthodox Flag with them which they burnt. Nikola Gardović died several minutes later in an emergency vehicle. Beside Ramiz Delalović, the witnesses recognized Suad Šabanović from Zvornik and Muhamed Švrakić as attackers and accomplices of murder. Muhamed Švrakić was son of the founder of the Green Berets, Emin Švrakić. The fourth attacker was Taib Torlaković who was killed in mafia conflict in Sarajevo, after the war, just as was Ramiz Delalović. Immediately after the beginning of the war in Sarajevo, Ramiz Delalović became commander of the Ninth Mountain Brigade of the Muslim Army of BiH, and was awarded with a engraved gun by Alija Izetbegović. After beginning of the war in Sarajevo in 1992, in front of the City Hall, Radio-Television Sarajevo controlled by muslim authorities, made a documentary about Ramiz Delalić in which he was presented as a hero. In this program Ramiz Delalić publicly confessed to murder of Nikola Gardović and stressed that it had been muslim patriotic act. 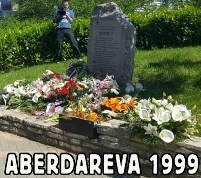 As a reaction to this murder, armed Serbs raised barricades in Sarajevo and from March 1 to March 5, they raised barricades in other cities (Bosanski Šamac, Derventa…) Muslims controlled the centre of Sarajevo while Serbs controlled the rest of the city and hills around it. After public appeal, Radovan Karadžić and Alija Izetbegović held a meeting in headquarters of Yugoslav People’s Army in the centre of Sarajevo with meeting having been mediating by general JNA, Milutin Kukanjac. After harsh debate, Karadžić and Izetbegović agreed that peace in the city was to be maintained by mixed patrols of JNA and police. However, during March, 1992 minor armed conflicts took place with dozens of people being killed. Ramiz Delalović and his accomplices have been tried several times for murder of Nikola Gardović. First trial against Ramiz Delalović was initiated by muslim authorities after beginning of the war in 1992, but it was cancelled because Ramiz Delalović was soon appointed as commander of the Ninth Muslim Brigade of the Army of Bosnia and Herzegovina, which was seen by muslim authorities as “mitigating circumstances” in favor of trial cancellation. However, trial has never been completed because Ministry of Internal Affairs of BiH arrested and released Ramiz several times, but pursuit was in continue. Investigation was restarted in 1996, and during the investigation procedure Ramiz fled to Turkey where he stayed for two years. Several years later, Ramiz Delalić was arrested in Sarajevo and investigation was restarted in 2004 but he was immediately released to defend himself out of prison. Ramiz Delalić aka Celo, from Priboj was killed in Sarajevo in June 27, 2007 at around 23.30. Police of Federation of BiH stated that the murder was a result of clashes between criminal groups in Sarajevo. The Trial was canceled after murder of Ramiz Delalović. Suad Šabović and Taib Torlaković were accused for complicity in murder. Taib Torlaković was murdered in criminal clash in Sarajevo never to show at court, and Suad Šabović was in Italy during trail, so he was amnestied.